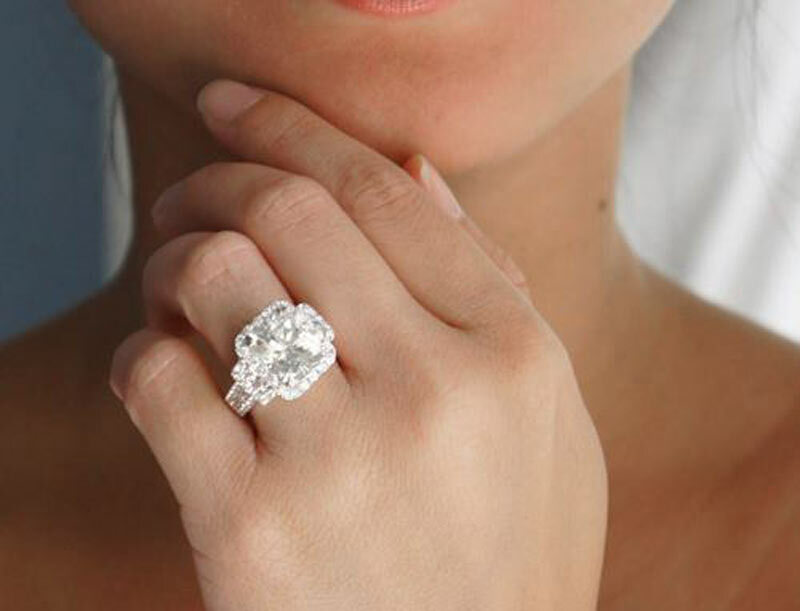 You don’t think about engagement rings until you arrive at a certain point in your life and you need one. A moissanite engagement ring is a very valuable item that symbolizes some of the most important milestones in our lives. Commitment to one another, excitement over a shared future, dreams, and everything that comes along with it. An entirely new and exciting life chapter that awaits. The ring we end up choosing grows an emotional attachment. It is a symbol, and symbols do matter. While it is easy to attach to a piece of technology and demand perfection, it is far more difficult to develop an emotional connection to a ring – but not until it fits the finger. For the joy it brings brides-to-be once they say YES, is hard to describe. And before this introduction bores you away, allow me to introduce you to something far more exciting – Moissanite engagement rings. 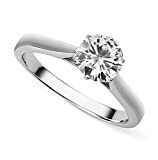 Moissanite is something that you discover mostly by accident and end up being impressed by it right away. 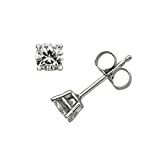 It may be seen as the first labor contraction in the birth of an entirely new trend in fine jewels. And while lack of marketing in the late 90’s failed to show the world the properties of this incredible gem stone, word of mouth has finally caught up, and it is now far more popular. So much so that fashion bloggers proudly take pictures of their cushion cut hallo rings or emerald shape moissanite stones. Faces from the entertainment industry and public life have too started to join the numbers. 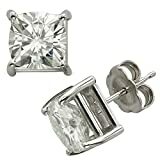 Moissanite is the most durable crystal structure known to men. First discovered within close proximity to a 50,000 years old meteor crater, it has since been very interesting to the scientific eye. Given the name moissanite after Henri Moissan who first discovered it back in 1893, it was the most brilliant gem stone the world has ever seen. 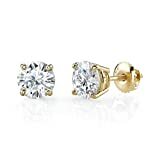 But it wasn’t until the mid-90’s when two companies started to perfect the process of creating moissanite, that it was synthesized without a flaw and equated those few moissanite stones found in nature. 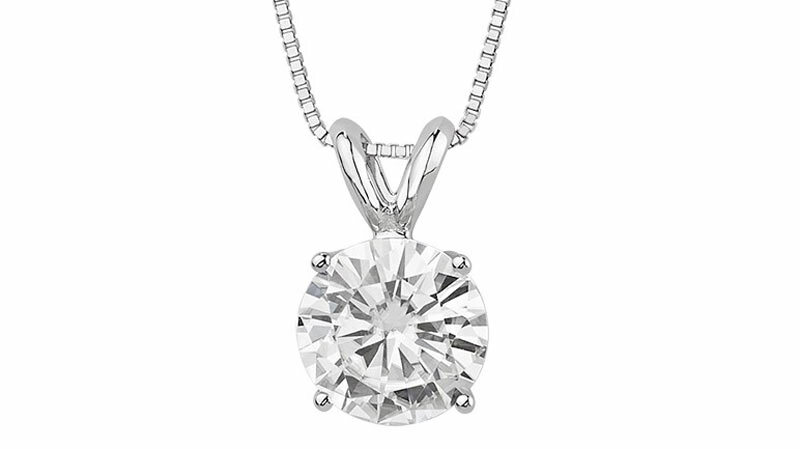 Moissanite, unlike other synthesized gems, does not simulate diamond, but it far surpasses it in many ways. Molded under the standards of the stones discovered close to the meteor crater, it sparkles with such fire and brilliance for it is, as scientists use to say “born from the stars”. Possessing fire, brilliance, and luster that far surpasses even that of a diamond, Moissanite twinkles and sparkles unlike any gemstone on earth. It is guaranteed to never lose its optical properties and therefore will be every bit as beautiful 20, 30 or 100 years from the moment you buy it. 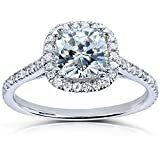 What about moissanite engagement rings? Back when its creation was perfected in 95, people figured that it will shake the market of fine jewels like nothing has ever before. And it did – 12 shapes were introduced, in dozens of sizes. Finding your preferable style, shape and size is easier when purchasing moissanite engagement rings than any other varieties on the market. Moissanite is known for its high refractive index of 2.65, which is notably higher than diamond, sapphire, CZ and other gemstones. Brilliance comes from the flashes of white light exiting the top and sides of a gemstone. The higher the refractive index of a gemstone, the more brilliance the jewel emits. 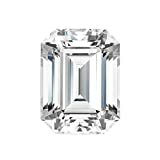 Moissanite’s superior refractive index makes Moissanite the most brilliant fine gemstone on earth. 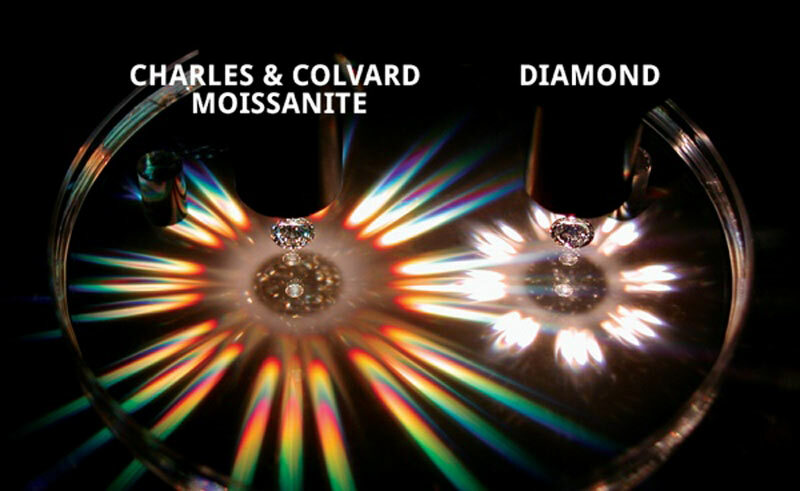 Moissanite’s fire – the flashes of colored light – is even more impressive, being more than twice that of a diamond. As for clarity, all shapes and sizes are consistent with high clarity, and low inclusions throughout. When compared to diamonds for example, there are only 10% of diamonds that have this amount of clarity or beyond- all others fall behind. Luster is the amount of light that is reflected back to the observer, from the surface of the gemstone. 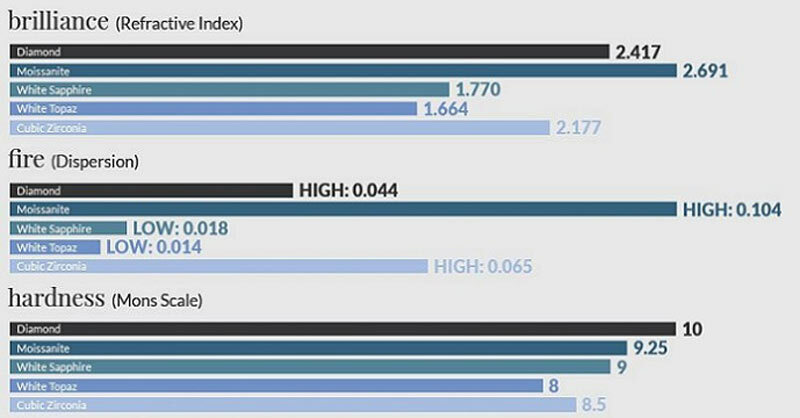 In addition to superior fire and brilliance, Moissanite has 18% greater luster than a diamond and 50% greater luster than CZ. To say in English, it sparkles and shines like straight out from a fairytale. So much so that wearing a moissanite engagement ring comes along with people taking notice and asking about it. The lifetime guarantee that comes along with most purchases is not mistakenly placed there. As for structural toughness it is tougher than most diamonds, but when it comes to durability it outranks any other gem on Earth- withstanding even 2000 degrees Fahrenheit, and chemicals that can easily ruin other gemstones. 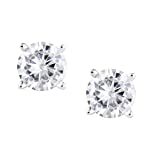 As a side note, there is a fun fact that moissanite has been used in body armor, called dragon skin, being able to withstand 40 rounds of ammunition or a very close range grenade blast. The satellite industry makes use of it as well. Enough said about durability. It is also extremely hard, which means that the chances of scratches or abrasions are extremely low to practically non-existent. Saying that it cannot be scratched is a statement that most people are comfortable making, and you should be as well. Comparing it to diamond doesn’t really make a lot of sense for it doesn’t simulate diamond, but far surpasses it in many respects. As for the price, being chemically synthesized, it can afford a far lower range. 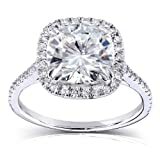 For every moissanite engagement ring that costs around $1200, diamonds possessing a similar clarity, cut and size would cost so much more that it is pointless to even write numbers. And yet, moissanite will still emit more fire, brilliance and sparkle. 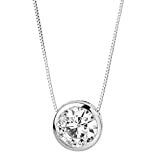 This causes the moissanite versus diamond comparison to rapidly shift grounds. 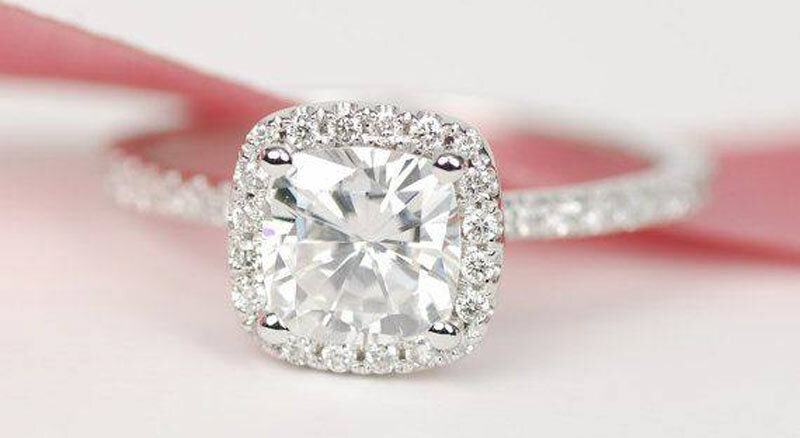 If diamond is a girl best friend, moissanite is her lover. And here is another thought to wrap your mind around – the symbolism. Remember how I mentioned at the very beginning of this article that an engagement ring represents a symbol? It would be a real shame if that symbol also represents oppression and stifling growth that the bloody cartel-like business of diamonds brings to third world countries where most diamonds are being found. Maybe we share different views, and you have other preferences, but I certainly wouldn’t want my bride-to-be wearing that on her finger. Time might come when she looks at it and sees exactly what I described above. Such a bummer. 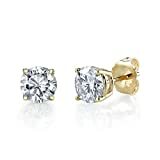 Besides, any moissanite that costs even $1000 will for sure possess far, far better optical properties, and much more beauty than any diamond below the $10,000 mark. It will be noticed much more, in proportion to this. Spending so much of your money, that will come very useful in the life you are starting to build, and all to buy an inferior alternative – don’t get me wrong, but I cannot wrap my head around it. 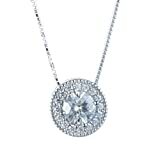 Cubic zirconia cannot be compared to moissanite. The reason I say this lays partially in its optical properties, and moreover in its durability, toughness and hardness. Besides, it loses much of it sparkle and fire faster than a puppy loses its pink color on its paws. 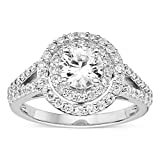 If you see the engagement ring for the symbolism it represents, and share some of my views, buying cubic zirconia will be the same as buying brass for your wedding bands. There is a reason we go with white/yellow gold or platinum. They last. And an engagement ring is supposed to last too. 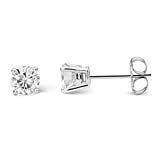 When comparing moissanite versus cubic zirconia, people start with the premise that both are synthesized. But the process of synthesizing differs so much that it is basically comparing not apples and oranges, but apples and leafs- both share similar origin though are another thing entirely. 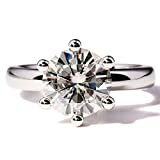 Why buying a moissanite engagement ring? First of all because it is the most beautiful option that goes beyond any other alternative. It is crafted to perfection. 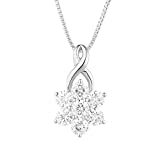 It also lasts forever and never loses its fire and brilliance – lifetime guaranteed – what a better symbol to represent your love? Not to mention that it will give you more beauty and endurance than many of the far more expensive gemstones out there. Consider this as well – engagement rings, if you share a similar disability for making decisions as myself, are excruciatingly hard to buy. Choosing which one can become an ordeal. Well, guess what – moissanite offers the biggest selection of engagement rings, in most shapes, styles and sizes than any other alternative anywhere. Maybe not a big deal for you if you can decide easily, but boy oh boy what a relief has this made for folks like myself. 1. 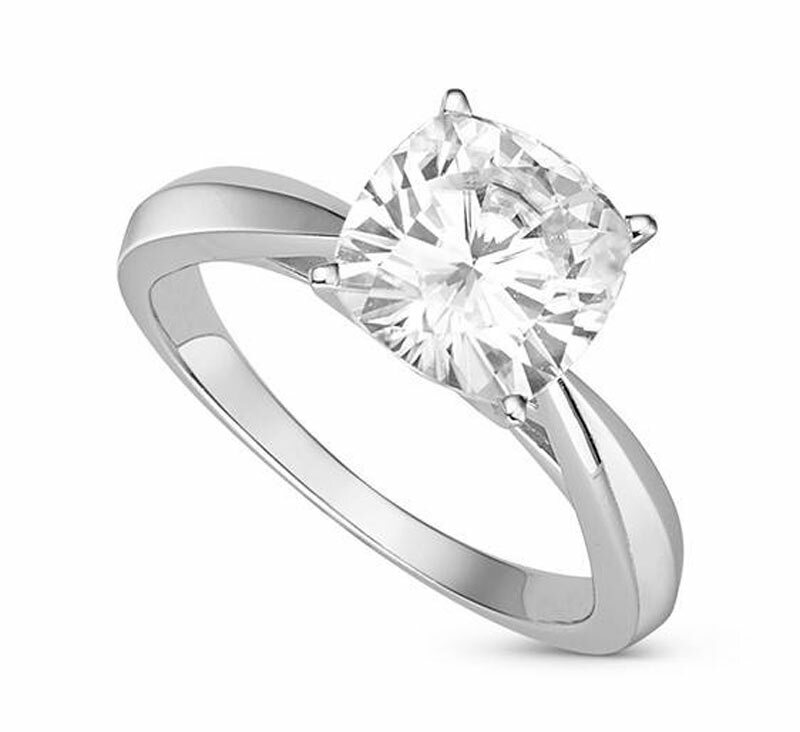 Is there any difference between moissanite and moissanite forever brilliant? Not that long ago, this fine gem was substantially improved with introducing the Forever brilliant upgrade. The difference is noticeable, and makes buying a forever brilliant worth considering. So what is a forever brilliant, you ask? 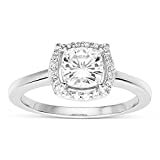 Well, after years of crafting moissanite, the people working at Charles and Colvard (by far the most authoritative, and may I add, only brand that deals with moissanite synthesis for making jewelry) succeeded in making a tremendous improvement in the process. They branded the new line and called it a forever brilliant. For a small price upgrade, you get quite the difference. The forever brilliant has no competition whatsoever. 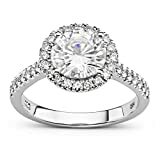 Whereas moissanite can show a slightly yellowish hue that is barely noticeable and only under certain lightning (still unmatched by any other gem), the forever brilliant goes even beyond and is impeccable. 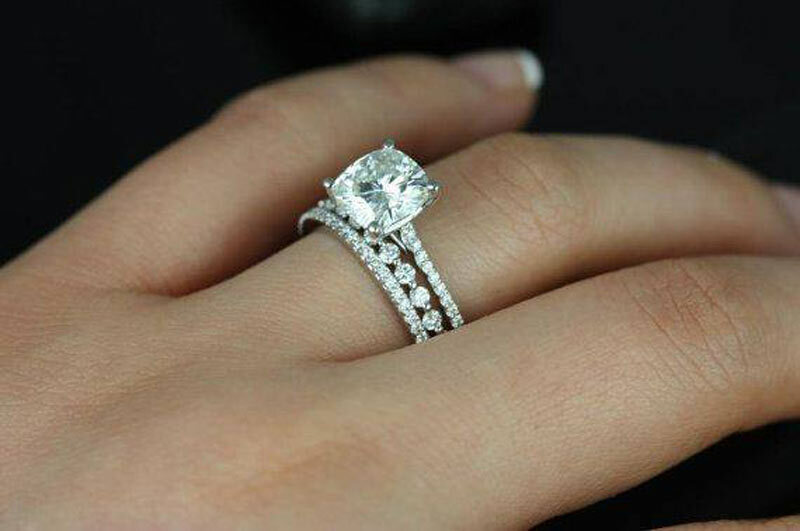 The price difference for two rings – same style and same band – is somewhere between $200-400 depending on the size of the stone. 2. 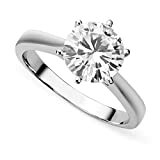 What about loose moissanite stones? 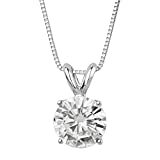 Loose moissanite stones can be found in most jewelries that sell exclusively moissanite. They can also be shopped online and you can easily go ahead and find ones that’d been used. If the thought of giving a used ring makes you bite your mouth while reading this now, don’t worry – stones can be bought and taken to a jeweler, and what you end up with is a brand new ring crafted towards your preferences and a personal touch. Loose stone and a ring bought separately can end up costing you slightly less then what it usually would when buying a whole ring. However though, be ready for imperfections, no guarantee, and the occasional time delay that can stretch indefinitely if you are dealing with someone who is not holding professional standards to such a high regard. 3. What does Charles and Colvard mean? 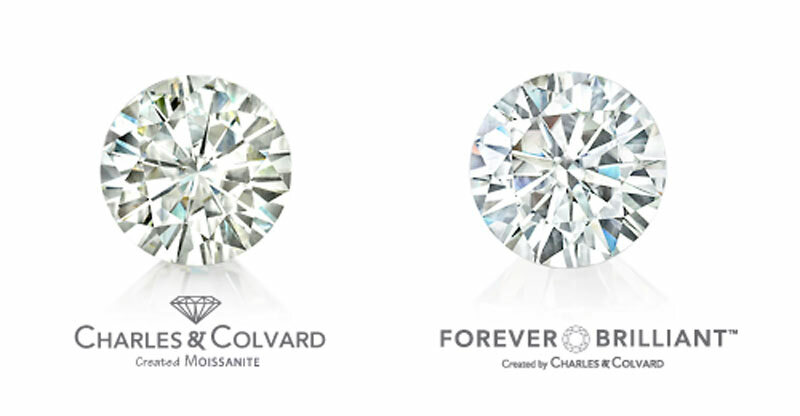 Charles and Colvard is the brand that produced the most quality moissanite ever known to man. They partner with many other retail stores that proudly showcase their work. 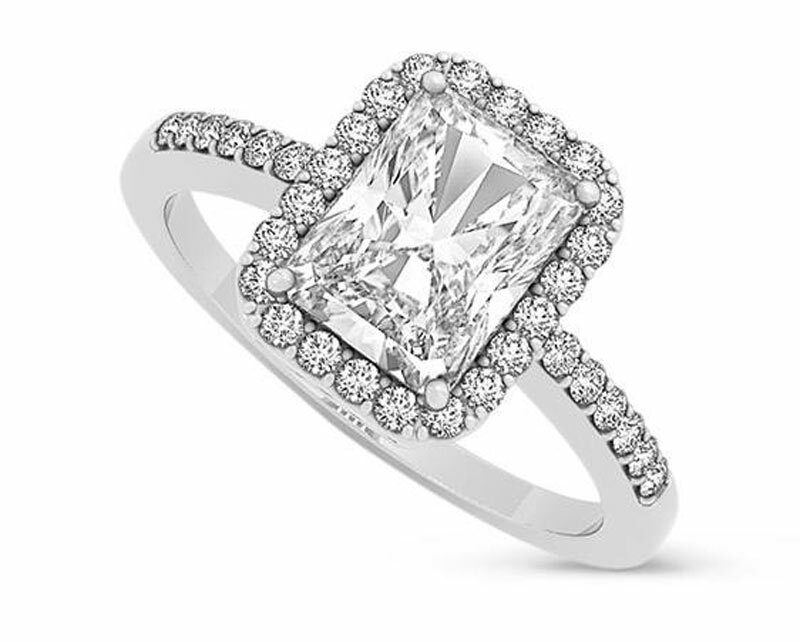 So far there are more than a handful of retail giants that sell Charles and Colvard moissanite rings. All come with a lifetime guarantee. 4. How to take care of your moissanite ring? But – I’m talking about once every couple of months. The “dirtiness” that accumulates is barely noticeable, if at all. 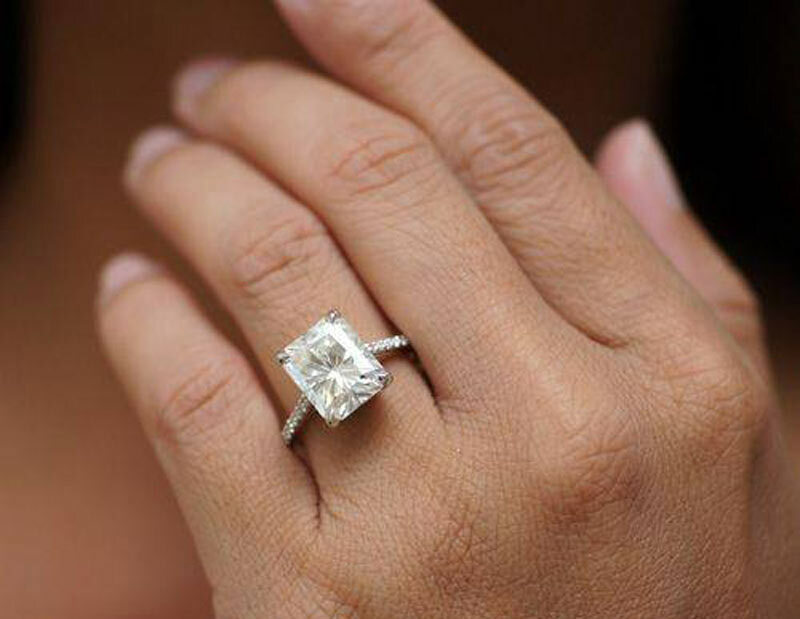 If however you notice a slight layer, removing it is more than easy – soap and a toothbrush, and few gentle strokes, and your moissanite has been taken care of. 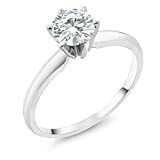 Well, it turns out that jewelers who sell diamonds are eager to mention that while diamonds never lose value, a moissanite can be produced more frequently and hence lose some of its value when replaced for money. I personally couldn’t care less. The reason I’m buying an engagement ring is not so that I can take it back later. Such a thought never crossed my mind, and neither should yours. Thinking that way is not being economically savvy, but rather foolishly obsessed with negative and self-destroying thoughts. 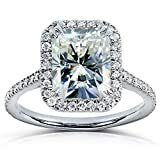 But since we mentioned it, yes, a moissanite can be sold via the internet, and it will still generate much of the value it was once purchased for. 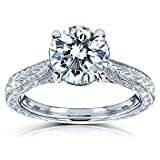 Where to buy a moissanite engagement ring? Online will be your best bet. If you know the size of the ring, everything else is easy-peasy. Though even a mistake regarding size will not cost you a thing – rings are easily resized (within reasonable amount of size differences 1-1.5). The reason I say online is because there you can scroll through a vast library of items – something that cannot be found elsewhere. Besides, choosing a ring is not an easy job, and you certainly won’t like salesmen influencing your choice over aesthetics. 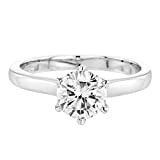 Informing you about characteristics is one thing, but when your mind is set to moissanite, there is little than a salesman can tell you in regards to choice. 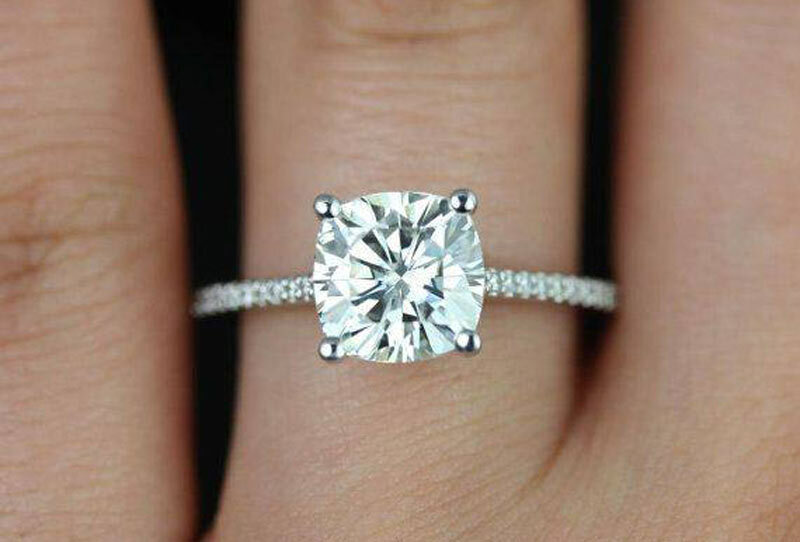 Here is the thing lads- if you end up with a moissanite engagement ring, chances are that your significant other will one day show interest in complementing it with another piece of jewelry. 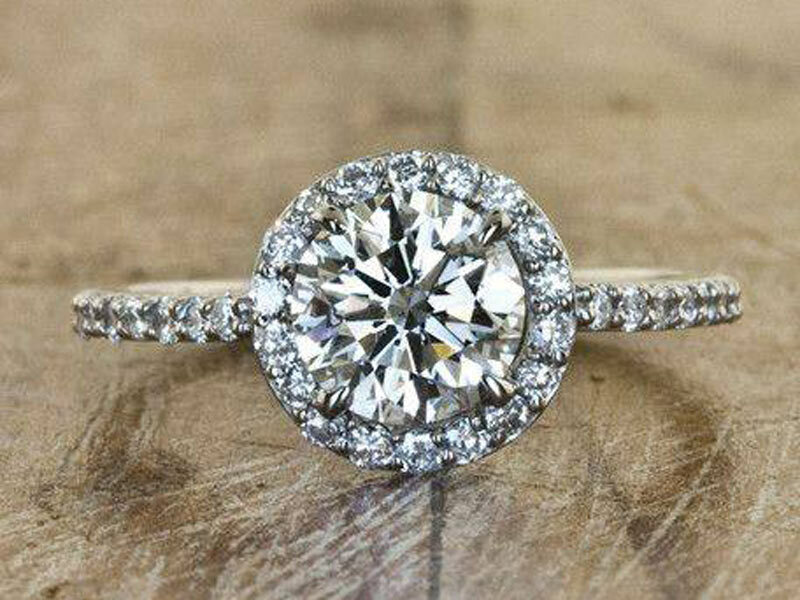 I hope this article gave you an in depth understanding of what you end up with when you buy moissanite. To surmise, it shines and sparkles more than any other gem on Earth; lasts forever; is available in more shapes and cuts than other gemstones; and costs far far less than a diamond. 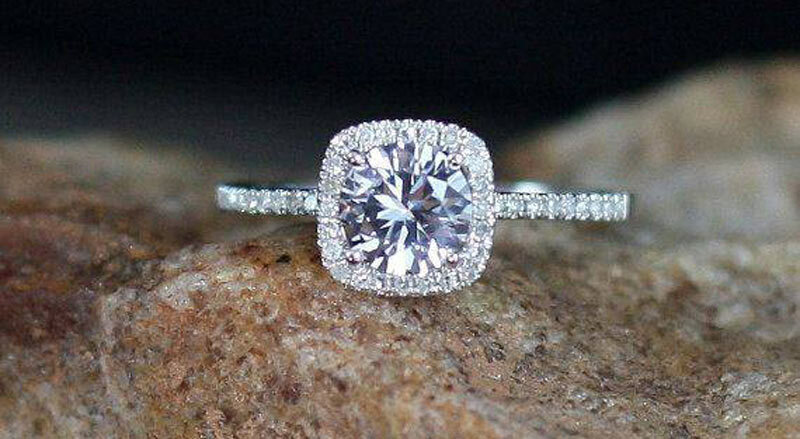 Your bride-to-be will be amazed by the fire and brilliance and will want to show the ring everywhere she goes. 16 opinions already. What's yours? Got one from my husband two years ago, still shines like the day I first saw it. 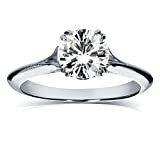 A moissanite engagement ring is the best choice, and I’m happy to have one on my finger. Btw, great tips about how to take care of the ring. 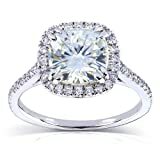 How should I know someone is selling me this moissanite stone for the correct price? 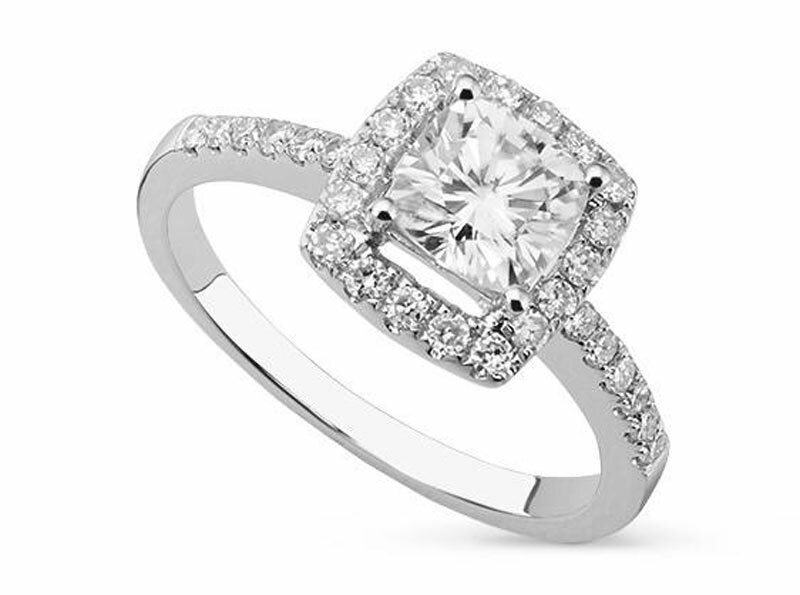 I would like to have my whole halo ring designed in moissanite with a 3 carat center piece, in platinum. 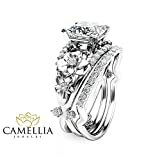 Your best bet would probably be to find a ring similar to what you want on Charles & Covard’s website and use that as a highball estimate. 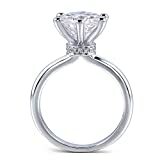 For the center stone alone you’re looking at anywhere from $600-$900 depending on the quality of the moissanite. 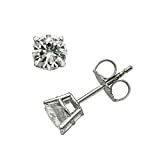 Nice platinum settings usually cost a few thousand dollars or more when set with diamonds, probably only a little less for moissanite because many jewelers won’t have those laying around and they’d have to make it special. 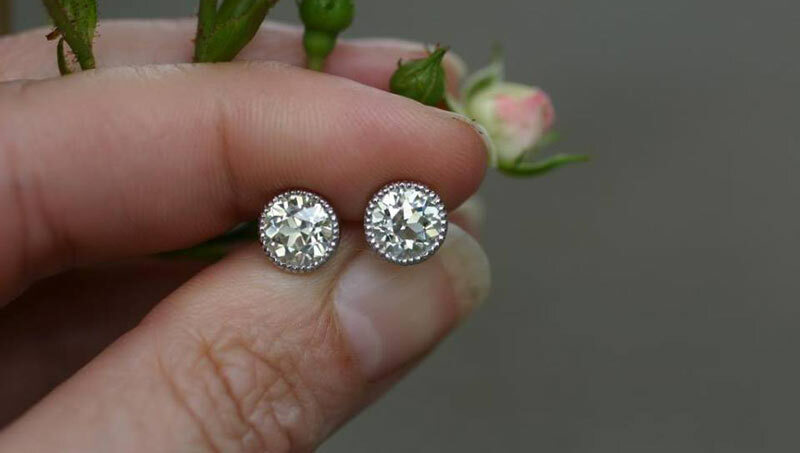 It’s very common for a moissanite to actually be placed in a setting that uses diamonds for the “side” stones so that’s what they’d usually expect to use. 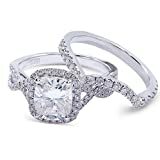 All in all I think you’d be looking at anywhere from $2000 to $3500 depending on the quality of the setting and stones. If you want your piece to last I advise not skimping on the setting quality. PS: I know the original question was posted months ago, but as it didn’t have an answer yet and I work as an appraiser I thought it would be good to have the information out there for future readers. 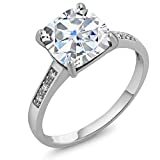 I’ve been looking at moissanite rings on ebay. Some say “genuine moissanite”, some say “lab created” and some “man made”. What’s the difference? Aren’t they all made in a lab? And by men? Also most of them say “off white yellow” color. Some say “off white” color. One I saw was a “yellow brown” solitaire set in 14kt yellow gold for $250. Most all say they are graded VSSI. Not sure what that means either. Can you help me understand all of this? 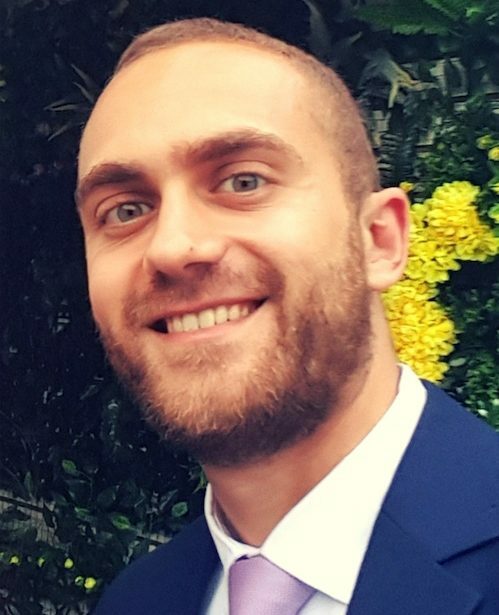 Hope to hear from you! Thank you in advance. Hey Sherry! All of those names are correct, and it’s very confusing. You are correct, all moissanite is lab created – the crystal is grown in a lab, and then cut into pre-forms and then into gems all by hand. Likely by some men AND some women. lol On the color of moissanite now – it used to be very yellow (or warm in tone). 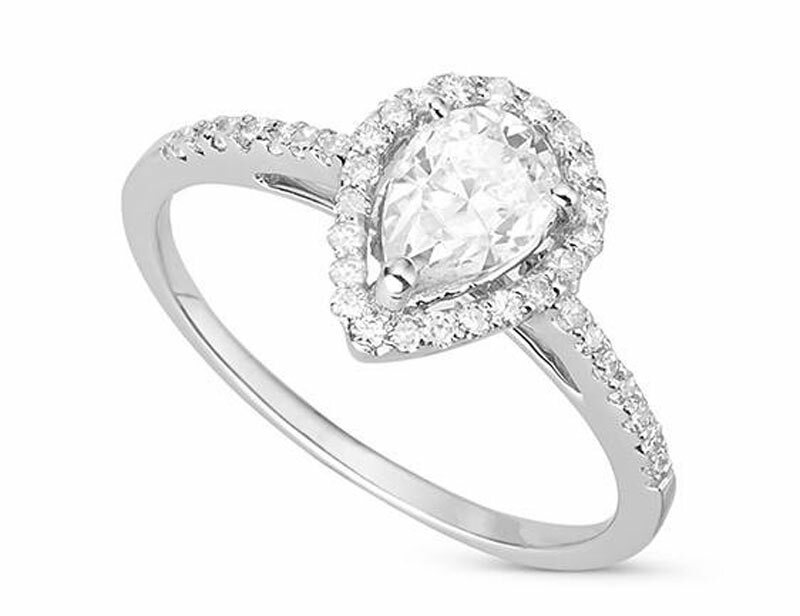 Now the newer stones – Forever One by Charles & Colvard, NEO Moissanite by Wholesale Moissanite, are all cut from a different type of crystal, 4H vs the older 6H. The stones are much whiter now, it’s awesome. VVS1 is a clarity grade for the gems – meaning how many inclusions are in a particular gem. 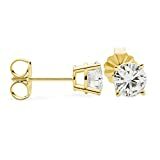 Not all moissanite is VVS1, but the better quality higher end brands absolutely are. 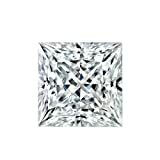 With moissanite you truly get what you pay for, so beware of crazy cheap stones, they are lower quality in cut, color and clarity. I bought a Moisenite ring from Charles and Colvard in 2004, I have loved it. Unfortunately the center stone recently lost a chunk out of it. My ring had gotten a minuscule chip in it several years ago and I had called the company. I was told that it is common for stones, including diamonds to chip??? At that point I just wore it as it wasn’t noticeable to anyone but myself. The latest chip is very noticeable…… Anyway I no longer have the paperwork as after my first inquiry I felt the paperwork had no value. My ring is in a drawer now, it has two stones that are still perfect so perhaps someday I’ll be able to replace the center stone. 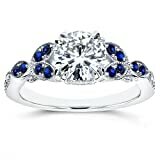 As sad as I am about the stone in my ring I have to say I would buy Moisenite again as it is beautiful. Unfortunately it did not last a lifetime. Could you let me know where the ring is from in the 2nd image within your article? I am interested in locating. I do not see it on the website of Charles & Covard. I bought my moissanite eternity band from honestsolitaire.ca I think it had the best prices for me as I live in Canada and the exchange rates from US site make the rings on them almost 30% more expensive. You can buy them on Amazon as well. The prices are often more affordable there. 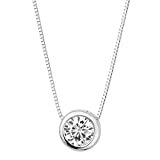 Charles and Colvard is the leading manufacturer and global distributor of moissanite gems. There are other labs creating them, but the production numbers are very low in comparison. It takes Charles and Colvard 2-3 months to create a single gem, and they are truly impeccable, which justifies the price. As for a certificate, look for a piece of paper which declares that they are manufactured by Charles and Colvard. I don’t believe that anyone is willing to face the legal ramifications of faking such a certificate, so if you see one, it is most certainly Charles and Colvard.